Draplin Design Co.: IN 59 MINUTES...DDC VS. DMB!!! 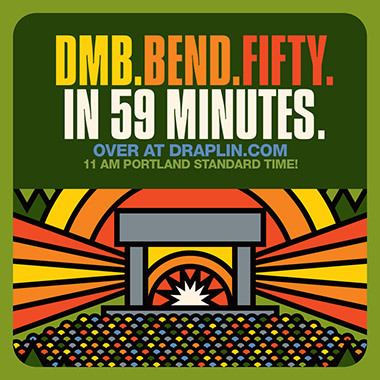 IN FIFTY-NINE MINUTES FROM NOW: Fifty of our �€œDave Matthews Band, Bend, Oregon, 8/28/18�€ concert poster screen prints! 11 AM PST! Right here! Ordering details go up at 11 AM, SHARP! BAM!